David Rees, AM for Aberavon, has demonstrated his support for women with breast cancer by becoming an ambassador for leading charity Breast Cancer Now. David joins 17 Assembly Members across Wales who are pledging their support to Breast Cancer Now- the UK’s largest breast cancer charity- to remind fellow politicians and constituents alike that breast cancer is not a ‘done deal’ and that immediate action must be taken to stop the disease taking lives. Around 600 women are still dying from breast cancer each year in Wales. Breast Cancer Now will be working closely with Breast Cancer Ambassadors to help them take action to tackle breast cancer in their local areas and in the Welsh Assembly, and to ensure that Wales’ most common cancer remains high on the political agenda. By bringing together the brightest, boldest and most influential policymakers, scientists, fundraisers and campaigners across the country, Brest Cancer Now believes that by 2050 everyone who develops breast cancer will live-but only if we act now. 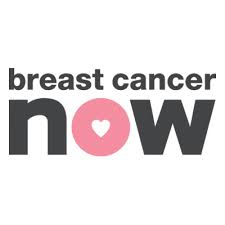 Breast Cancer Now- the new charity from the merger of Breast Cancer Campaign and Breakthrough Breast Cancer- launched in January 2015, aiming to unite everybody affected by the disease to ensure that we are the generation that finally stops women dying from it.